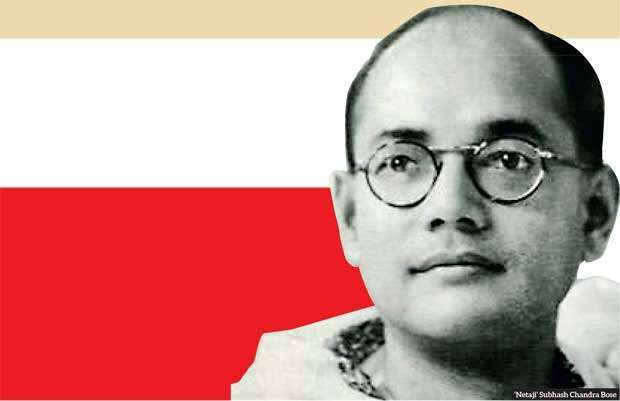 Indian nationalist leader Subhash Chandra Bose was killed when an overloaded Japanese transport plane crashed in Taiwan (then Formosa) on Aug. 18, 1945. His remains are kept at the Renkoji Temple in Japan. Bose, a charismatic leader of the younger, radical wing of the Indian National Congress and Congress president in 1938-39, broke away from Mahatma Gandhi and the party over policy matters, seeing the Axis powers (Nazi Germany and Japan) as the answer to India’s salvation from British rule. There are those who refuse to accept that he perished in that crash. But his only child, German academic and economist Anita Bose-Pfaff, believes that he died in Taiwan on that day. However, she has called on the Indian and Japanese Governments to conduct a DNA test on Chandra Bose’s remain to clear all remaining doubts about his death. "Bose’s recruits initially served the Germans as the 3,000-strong Free India Legion. But, as a German invasion of India became remote by spring 1942, Hitler offered Bose a German submarine so that he could join Japanese forces in South East Asia." In an interview with Hindustan Times shortly before the Narendra Modi Government began releasing declassified files pertaining to Bose, she affirmed again her belief that her father was killed in that air crash. “I think that is the most likely to have happened. If we get evidence that supports something else, I am open to that but so far I have not seen any evidence which is more convincing. In the beginning, we all doubted that he died in the plane crash, but as time passed some things came out and I was also present in the interview of some people who were survivors of that plane crash. “First, I am convinced that if he were alive he would have involved himself in the politics of the time. That might have had a number of consequences. There would have been a prominent alternative to Nehru. “Of course we must consider that on some issues they had very similar views. They were both in essence in favour of a political system which was not dominated by communal controversies. They were both modern in the sense that they wanted industrialisation. But on the other hand, they would have been differences; for example, I imagine his position vis-vis Pakistan would have been different. Nobody really wanted or expected what happened after partition. "A. C. N. Nambiar, who was in Europe with Bose as his second-in-command, said that it was only ‘an informal marriage.’ Emilie Shenkl said that they were secretly married in 1942. Anita was born on Nov. 29, 1942, in Vienna." Her mother is Emilie Schenkl, whom Bose hired as his Secretary while writing ‘The Indian Struggle.’ They fell in love and, according to Emilie Shenkl, were married at a Hindu wedding ceremony. But there are some doubts as to if they were actually married, and she was more likely his companion. A. C. N. Nambiar, who was in Europe with Bose as his second-in-command, said that it was only ‘an informal marriage.’ Emilie Shenkl said that they were secretly married in 1942. Anita was born on Nov. 29, 1942, in Vienna. This union was in complete defiance of Nazi racial laws, which forbid marriage between ‘Aryan’ German women and ‘untermenschen’ (basically, anyone who wasn’t German and Aryan. Bose was neither a fascist nor a Nazi. By the time he left Europe to join the Japanese, he had obtained what he wanted from the Germans: a submarine to travel to Asia, a guarantee that his Legion consisting of anti-British Indian soldiers would not be used to attack the Soviet Union. After living for months in a Berlin hotel, Bose was given by the German Foreign Office a luxurious residence along with a butler, cook, gardener and a car chauffeured by an SS Soldier. Emilie Shenkl moved in openly with him, but there was no official comment or adverse reaction from the Nazi establishment. Bose’s family learnt about his marriage and the child when Shenkl wrote to his brother Sarat Chandra Bose. He obtained too, Luftwaffe (German air force) training, and acceptance of left-wing Indians in high ranking positions and even racial exemptions to marry German women. He must have been a remarkable negotiator. Reportedly, Bose’s last words on Aug. 18, 1945, were: I would like to sleep a while. Pfaff was not given her father’s last name at birth and grew up as Anita Shenkl. While she grew up with her mother in Europe, Bose was busy organising his army Azad Hind Fauj. Bose’s recruits initially served the Germans as the 3,000-strong Free India Legion. But, as a German invasion of India became remote by spring 1942, Hitler offered Bose a German submarine so that he could join Japanese forces in South East Asia. "He obtained too, Luftwaffe (German air force) training, and acceptance of left-wing Indians in high ranking positions and even racial exemptions to marry German women. He must have been a remarkable negotiator." Arriving in Madagascar in Feb. 1943 in a U-Boat, he travelled in a Japanese submarine to Sumatra in May 1943. He organised the Indian National Army with Japanese help, and the Provisional Government of Free India led by Bose was set up in the Andaman and Nicobar Islands. The INA under Bose was a model of diversity by region, ethnicity, religion, and even gender. But Bose’s military skills did not match his political ones. The Japanese were unimpressed by his military thinking. In late 1944 and early 1945, the British halted the Japanese advance towards India and counter-attacked. Almost half the Japanese forces and 50% of the INA units were killed. The INA surrendered when the British recaptured Singapore. Bose had plans to flee to Manchuria to seek Soviet assistance against the British, but he died of severe burns after that plane crash in Taiwan. The British charged 300 INA officers with treason, but they were not found guilty as charged due to popular sentiment and as it became obvious that Independence for India was now inevitable (Sources: Hindustan Times, Wikipedia).